Includes a 1-Device, 1-Year licence. 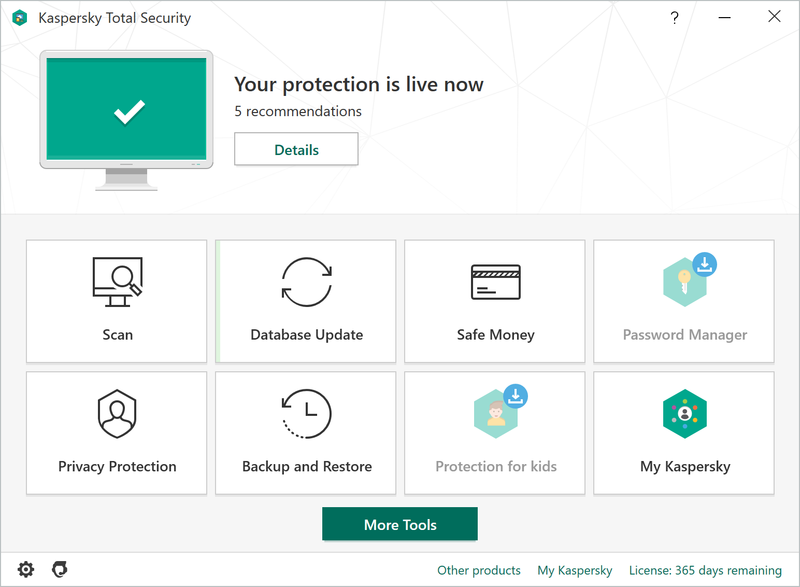 Kaspersky Total Security 2019 includes support for ONE Kaspersky account, so one user can protect their devices. You receive a single license with Kaspersky Total Security 2019. 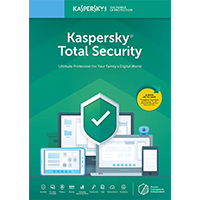 Your license can activate Kaspersky Total Security 2019 (PC), Kaspersky Internet Security for Mac v19 or Kaspersky Internet Security for Android (Android). You can use your 1-device license to activate either one of these applications once and for one year.